Do you remember the glory of the '00s high street? 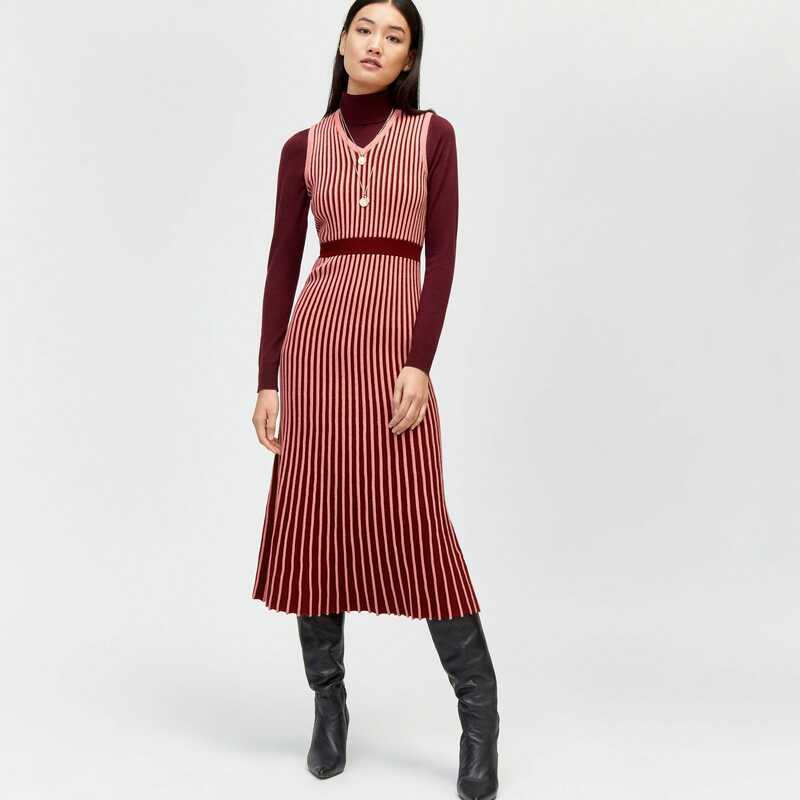 Recall the thrill of convincing your mum to buy you a faux fur gilet or a high-sheen bodycon dress (for going out-out, of course) from Warehouse? The brand often reached smaller towns before giants like Topshop and H&M, and as such, has become a mainstay of our collective nostalgia. But you’d be foolish to overlook the retailer in 2018. Since 2016, it has undergone a renaissance of sorts, evolving from a forgotten relic of the pre-online-shopping world into a comeback kid, collaborating with global influencers, and – most importantly – producing fresh and contemporary pieces that we really want to wear. Now positioned as 'women’s fashion curated for the city', Warehouse has gone from strength to strength since its 40th birthday rebrand and subsequent AW16 collection. How has it claimed its place in our wardrobes among a sea of socially savvy Insta-brands, exciting mid-range designers and cheap-as-chips fast fashion retailers? "Our collections are seasonally on-trend and given our in-house designed approach to both print and product, we know we can offer something more unique in a crowded marketplace. Like any other fashion retailer, Warehouse has had to embrace the ever-changing world that we live in," Paula Stewart, Warehouse’s brand director, tells Refinery29. "Our online store is equally as important as our physical high street presence." Having worked with the likes of journalist Pandora Sykes, influencer Lucy Williams and founder of The WW Club, Phoebe Lovatt, the brand has engaged its audience through the personal style of Instagram’s most-followed. While it would be great to see Warehouse work with a more diverse lineup of influencers, there’s no doubt that their focus has shifted towards modern working women with as much to say to their customers as to inspire their wardrobes. "We know our customer well so she is at the centre of everything we do. We know the silhouettes and the fabrics she likes and this is the backbone to our collections. The design team look at all the trends influencing the season, from street style to vintage, and curate a collection that is relevant for our woman, from modern wardrobe essentials to 'must haves' for the season." What can we look forward to this AW18? "The frontrunner of the season so far has definitely been animal – our green leopard print sold faster than we could have imagined," Stewart explains. "The rest of the collection definitely takes a more directional approach to classic British dressing with heritage checks and relaxed fit trouser suits. A key seasonal staple for us is knitwear, we have some great new shapes plus standout pieces like our Fair Isle chunky knits which are perfect worn over longer length dresses." Alongside '70s tan and honey tones, pastel-hued corduroy and paisley prints, there’s also the brand’s collaboration with beloved British designer Ashish. The sequin-spangled collection, which launches this month, has party season covered, with egg yolk yellow trench coats and disco ball silver jumpsuits getting you through every event in the winter calendar in style. 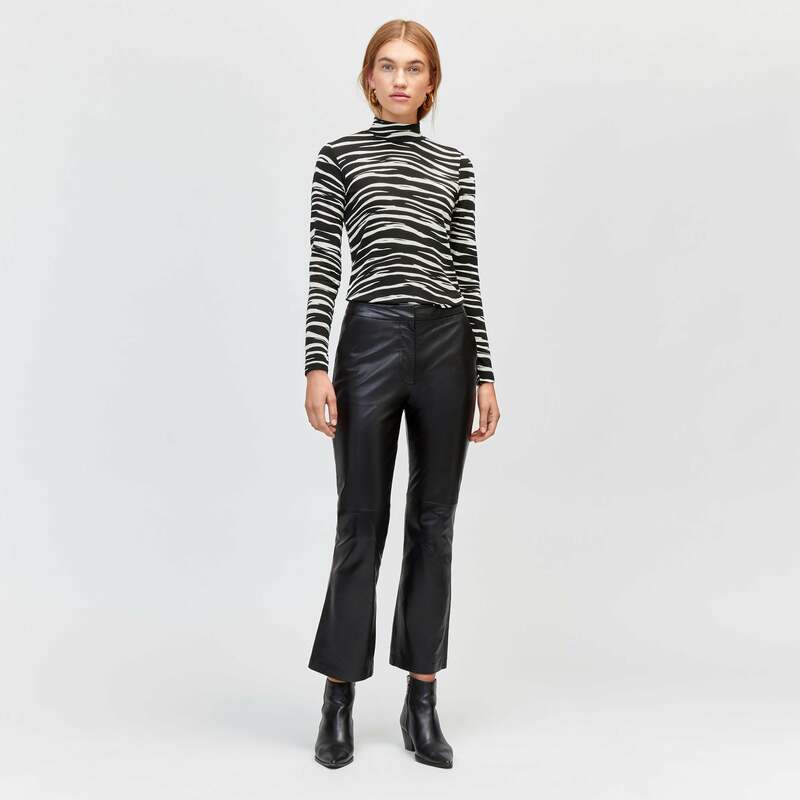 As for our favourite pieces of the season? Warehouse’s reversible trench coat (on one side a green tartan, on the other a classic neutral shade), the loud-and-proud zebra print dress, which we’ll be wearing with black Western boots, and the faux fur leopard coat, which will not only keep us warm this winter but remain a classic for quite some time. 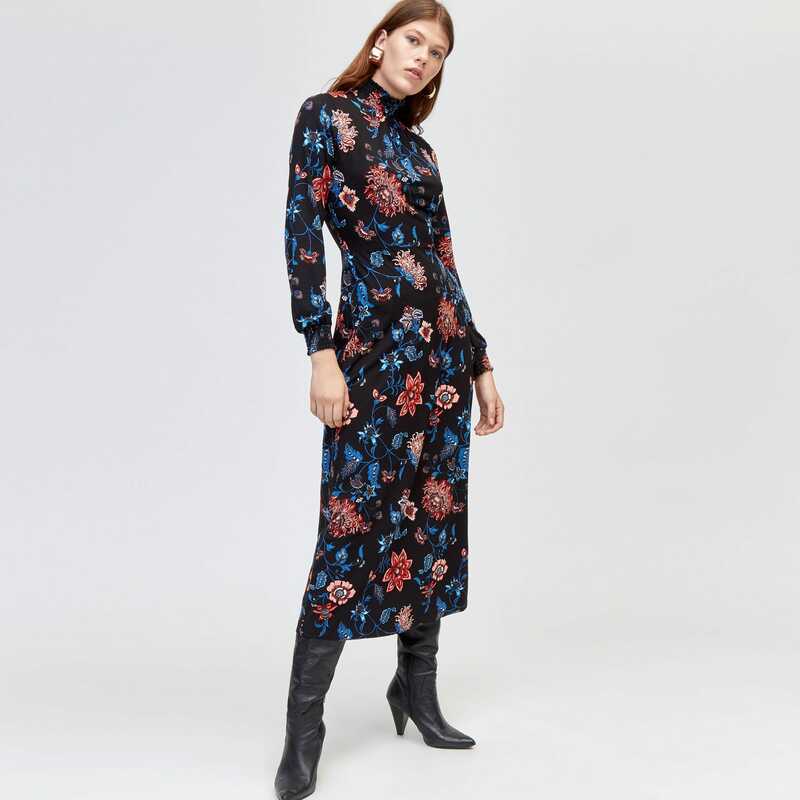 We may have more choice than ever thanks to an expanding British high street, but Warehouse has proved over the last few seasons that it’s got the direction and design to keep us loyal, even after all these years.